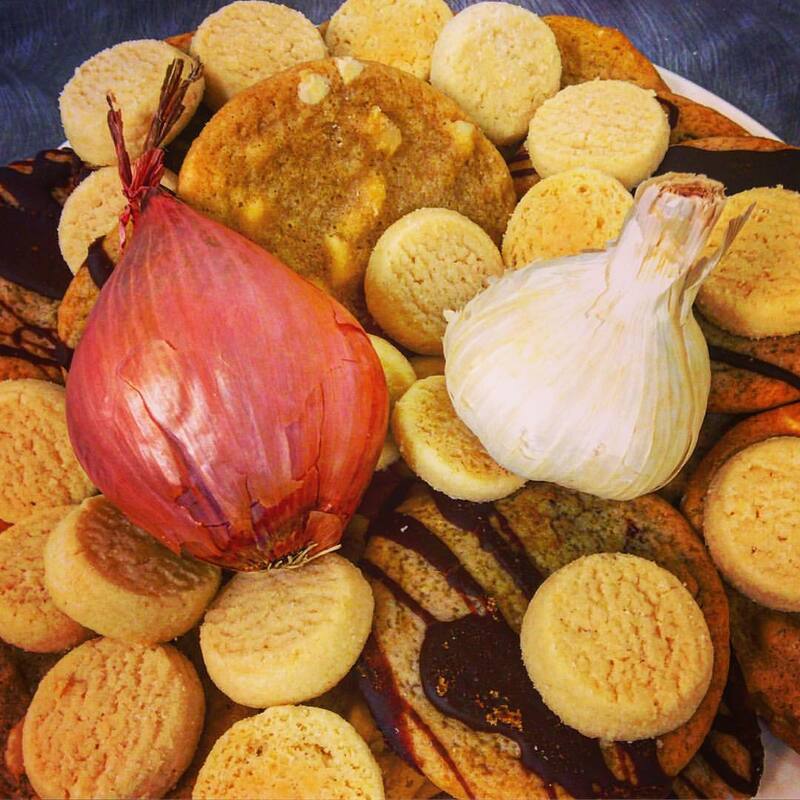 Red onion, white garlic & cookies. Last night my new work, Red Onion, White Garlic, was read for the Playwrights’ Unit and several guests. It was a great thrill to hear the words, and a joy to hear the assembled laugh and react to it. The work is a commission by Talespinner Children’s Theatre, it opens April 8 at Reinberger Auditorium. This is my third work for TCT, though the first two were ideas I brought to the company. For the 2017 season, Ali Garrigan, the artistic director, suggested I look into Indonesian folklore. As you often discover when researching folktales, no matter where you look you find many of the same stories. The original Red Onion, White Garlic has elements in common with Cinderella. A wicked woman favors her own daughter, Bawang Merah (Malay for shallot), and not her stepchild, Bawang Putih (Malay for garlic), who is made to do all of the household chores. As in the western tale, the put-upon girl receives a magical boon, and when the jealous stepmother and stepsister attempt to capitalize upon her fortune, they are punished. Now, this was one of many tales I found (there are, in fact, several wound into my play) but the story as is didn’t make me happy. First off, I already did the “evil stepfather” thing in Rosalynde & The Falcon. And secondly, this idea that the stepparent is mean and unfair, while it may be true in specific circumstances (there are mean people everywhere) it is an ugly stereotype and hardly in keeping with modern society. What if these stepsisters share a mother, and that they love and care for each other, as siblings do? What would that story be like? After the reading, the attendants discussed theme and found out just what that story would be like. It would be a story of confidence and teamwork, temperance and balance. Accountability and humility, envy and loss. These are certainly important lessons for our time. Listeners also tuned into how beautifully the sisters get on with each other, in spite of their having been born a generation apart, and having been raised in such different circumstances. One of the most vivid comments came from Megan, a member of the Case MFA Acting program. She observed that just as many rivers flow into the ocean, there are many ways to raise a child. Red Onion, White Garlic at Talespinner Children's Theatre opens April 8, 2017.